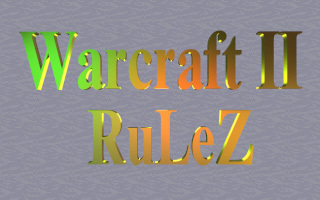 You can find here new levels (maps) for the WARCRAFT II. Kliknij tu, �eby zobaczy� polsk� wersj� tej strony. The greater number in name of the level, the newer (and maybe better) pud is. !!! NEVER ENDING CONTEST !!! If You want to be 'The Best Player of the Level', just play my single player levels. Click here for rules of this contest. - winners of 'The Best Player of the Level' Award. This site was awarded !! !